Welcome to EJM Engineered Systems. With extensive knowledge and almost 40 years worth of experience in our sector, our engineers are here to provide a quality service that is second to none. Ammonia has always been a natural refrigerant for us to use. Ammonia is zero rated for both Ozone Depletion Potential and Global Warming potential (GWP). Due to the imposed limits for Fluorinated Gases (F-Gas), Ammonia is becoming increasingly popular. 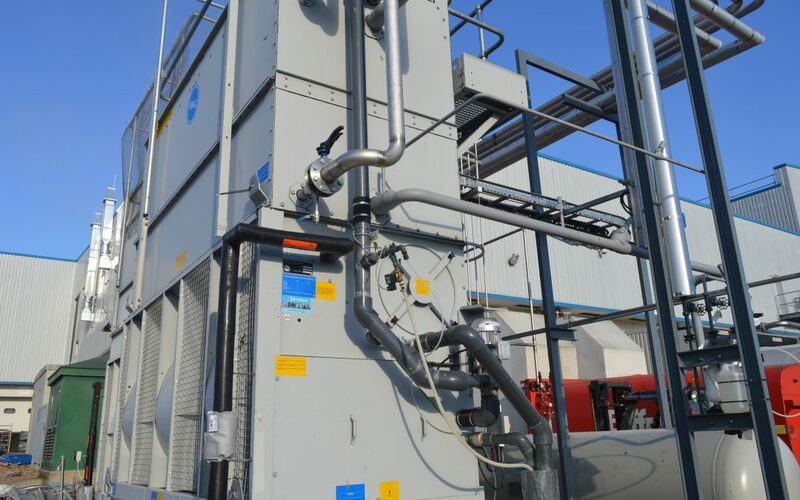 Multi-zone factory projects have been completed using ammonia throughout the chilled and frozen areas as well as primary cooling / freezing using pumped ammonia, with secondary cooling to chill and preparation areas using pumped secondary refrigerants such as glycol. In addition to new installations, EJM has extensive experience in upgrading and extending facilities. Our expertise allows us to accommodate modifications with minimum disturbance to production. As an independent company, we are free to select and supply equipment which best suits your needs as we are not constrained to any one manufacturer. EJM have extensive knowledge in the use of Pre-Insulated Pipework Systems which offer a commendable, long lasting, robust finish to pipework and valve stations. The integrity of the insulation is exceptional and is used as first choice in large pipework systems. Commercial refrigeration is an important and successful part of our business, with many projects being carried out across the various sectors of the Food Industry. For other clients, we are able to offer bespoke systems to meet their needs for Science Laboratories, Advance Composites, Hospitals, Pharmacies and Mortuaries. In modern society, Air Conditioning really is no longer a luxury, but rather a necessity in office buildings, commercial properties and production facilities. At EJM we have the option of applying the correct solution for each application using any of the major equipment suppliers. Health, Safety & the Environment is now first and foremost in every aspect of life. This also extends to the reduction of ice build-ups in cold stores, which hold the potential to be serious slip hazards. EJM have been involved in many applications of dehumidification to reduce the formation of ice. Utilising desiccant wheel dehumidifiers which reduce the moisture ingress at source really can ensure effective Health & Safety. Coldstore coolers require defrosting to remove frost and ice which forms on the finned coil surfaces. Defrosting is necessary but uses energy and introduces heat load into the Coldstore. Reducing frost and ice formation is key in the design. Dehumidifiers can play a major role to reduce moisture ingress in the first place, as defrosting is much reduced and enable energy cost savings both for defrost and compressor running hours. We have built up our reputation in this area of our business by giving prompt and reliable attention to all Service Calls with our team of Service / Maintenance Engineers who, between them, possess over 200 years of experience on a wide range of Refrigeration and Air Conditioning equipment. Our Service Team really does provide exceptional after sales service to all of our installations throughout the UK. We can provide on-site compressor overhauls and rebuilds for all major makes of compressor including: Sabroe, Grasso, Halls, Stal, York, Carrier, Trane, Gram, Bitzer, Copeland, Howden & Frick. 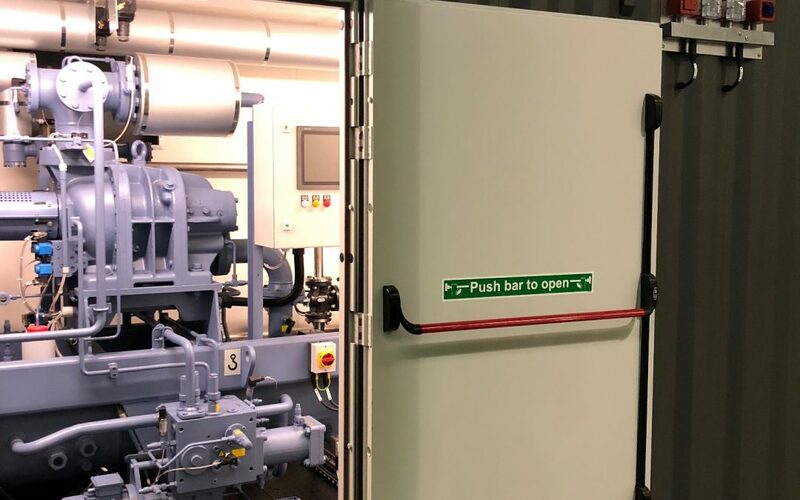 We truly do recognise the importance of minimum downtime to your business and process, and this is why our engineers are focused on returning your plant to operation as quickly, efficiently and safely as possible. Our comprehensive Service Tool ‘CLIK’ ensures each Customer, Supplier, Service Schedule, Engineers’ Diary and much more are tracked and fully traceable. All Customers Plant assets are logged inclusive of Serial numbers for ease of cross-referencing and monitoring of historical service issues, overhaul history, and if applicable F-Gas compliance. In addition to Breakdown Service, we also offer Maintenance Schedules, which have proved effective in reducing plant breakdowns and production downtime. Dedicated Maintenance regimes can be tailor-made to suit each client, site, and equipment needs, ensuring best performance and budget constraints are met. "We are in the business of producing frozen seafood products for 27 years. Our experience has been that you cannot cut corners on engineering particularly when it comes to the investment and maintenance of refrigeration equipment. 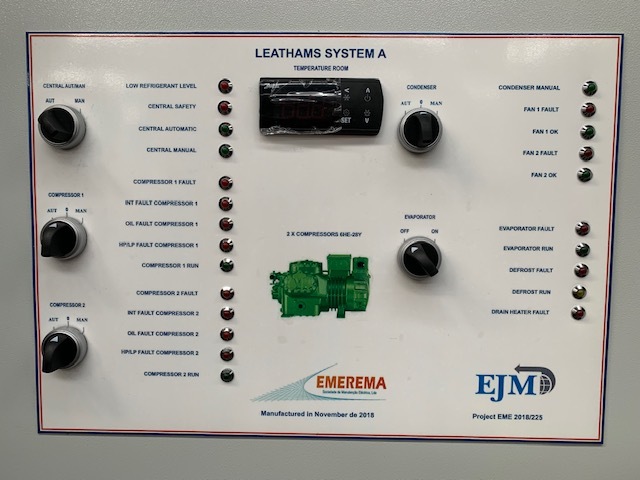 EJM Engineered Systems Ltd have been our dedicated supplier for a number of years and we have been extremely pleased with the design capability, project management, and service that they have delivered." “Langdon Industries have used EJM Engineered Systems for over a decade. During this time initially gaining very competitive tenders for new works, coupled with good practice during erection and planned commissioning followed by the backup call out service, has been controlled by diligent office staff and experienced site engineers. The latest contract completed by EJM for Langdon’s was a multi temperature-controlled warehouse which was completed on time and is fully operational. The company is very flexible and endeavours to engineer all aspects of the design to attain the highest efficiency levels. As the Consultant and Project Manager to Langdon’s (now part of the German company The Nagel Group) I am pleased with the overall performance of this company and the standards they attain." "For over 30 years EJM have looked after all our refrigeration needs, both large and small. Including our current build program, they have designed, built and maintained our cold storage operations which will total over 140,000 pallets by the autumn of this year. EJM have worked together with us to produce four quality and efficient cold stores where modern technology has been employed to give value for money on a long-term basis. We have always found them to be constructive and innovative in thought and deed. The plants that have been built by EJM and maintained by them have stood the test of time, we have built and expanded our stores on the current site for almost 20 years and we know that savouring a good job well done is better than the sweet taste of a low price." As an independent company, EJM are able to provide individual care to all our customers. Our independence ensures that clients needs come first and the most appropriate equipment is selected to suit each application.